Cardiff Sixth Form College was founded in 2004. As a small, private tutorial college, we were dedicated to pioneering a new approach. Combining small class sizes, excellent teaching and individual attention for each student; we believed in nurturing potential - and the results were first class. Cardiff has since been committed to ensure high academic outcomes for all students. In achieving that, the college provides expert individual and small group tuition where required. Cardiff cultivates a culture of scholarship and a spirit of curiosity, created through inspiration and responsive teaching. A unique teaching approach of 8 hours of tuition for core A Level subjects is adopted. Close monitoring of progress is provided with additional support where needed along with flexible subject combination timetable. 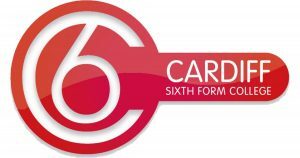 Cardiff also assists with the application process for university, including intensive coaching for interviews, tailored advice on personal statements and opportunities for work observation. This ensures that students can make the best out of their university of choice. Academic entry requirements: A minimum of 6 GSCE/IGCSE passes (or equivalent qualifications) at grade A*, with A* grades in the subjects chosen for A Level. The college will take into consideration applicants’ most recent school report. All applicants will sit the online aptitude test and will be interviewed by the college representative.